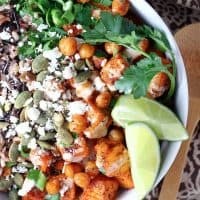 ROASTED SWEET POTATO CHICKPEA GRAIN BOWLS — Brown rice is topped off with roasted sweet potatoes and chickpeas, then tossed with a tangy sriracha lime dressing in this healthy meal option. With all my kids in school, I often struggle to make healthy lunches just for me. But these Roasted Sweet Potato Chickpea Grain Bowls are one of my favorite lunch solutions. There are lots of days where I just end up snacking, because I know I’ll be prepping for dinner in a few hours, and I don’t want to put a lot of effort into a lunch for one person. Basically, I took all of my favorite healthy lunch foods and combined them into one delicious dish. Even better, these bowls are so easy to put together, and it’s a mid-day meal I can feel good about. I like to cook a bunch of brown rice or quinoa early in the week, so all I have to do is roast the sweet potatoes and chickpeas and I have hearty, filling lunch ready to go. I really love these bowls–and bowls in general–because they’re so versatile. You can really use any kind of cooked grains for the base, then add whatever protein or veggies you have handy. 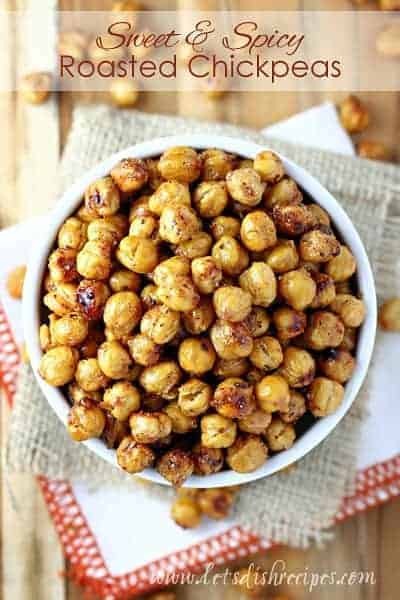 I’m a huge fan of chickpeas, so they are one of my favorite lunch-time sources of protein, since I don’t have to bother with cooking meat. I just open a can and I’m good to go. Personally, I just can’t resist adding a creamy sauce to my bowls, and the sour cream, lime and sriracha dressing in this recipes compliments all of the ingredients in the bowl perfectly. Of course, you could always just go with a drizzle of olive oil and lemon juice, or use a prepared sauce or dressing. Like I said, versatility is what makes these bowls such a great lunch option. 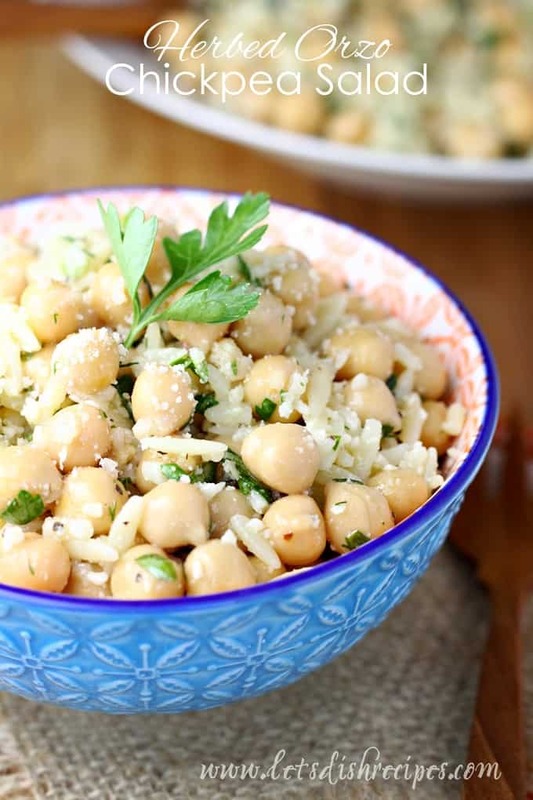 This sweet potato, chickpea grain bowl is so delicious and healthy. 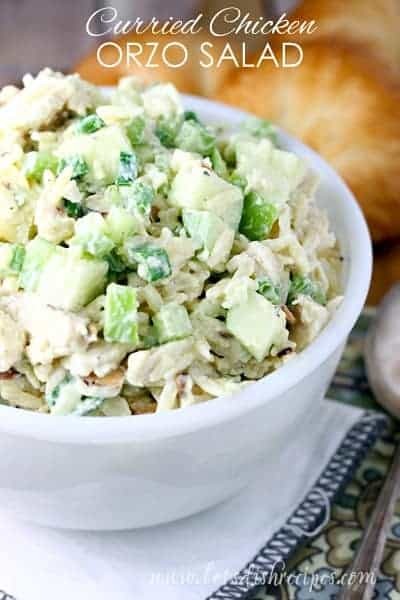 I highly recommend giving it a try, and then branch out and add your favorite ingredients to make this lunch time staple your own. 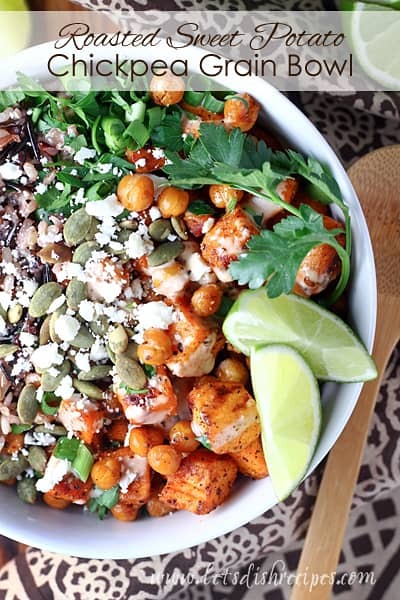 Be sure to save this Roasted Sweet Potato Chickpea Grain Bowls recipe to your favorite Pinterest board for later. 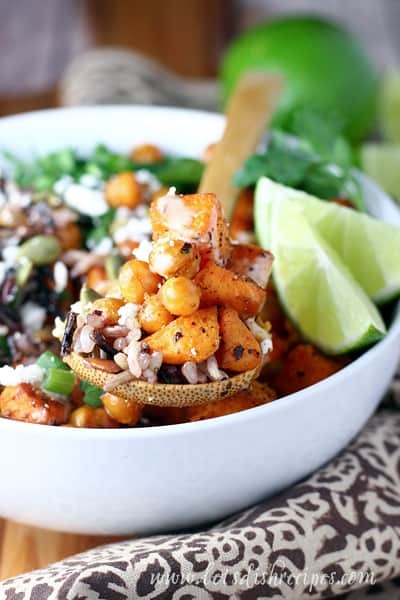 Brown rice is topped off with roasted sweet potatoes and chickpeas, then tossed with a tangy sriracha lime dressing in this healthy meal option. Preheat oven to 450 degrees. Divide rice between four large serving bowls. In a medium bowl, toss together diced sweet potatoes, chickpeas, olive oil, cumin, chili powder, salt, pepper and garlic. Spread in an even layer on a large baking sheet. Bake for about 10-15 minutes, or until sweet potatoes and chickpeas are golden brown, stirring once halfway through cooking. Divide sweet potato mixture evenly between bowls. Top with green onion, parsley, pumpkin seeds and feta. Whisk together ingredients for dressing in a small bowl and drizzle over bowls. Serve immediately. Beautiful ideas for my office lunches ! Thank you !